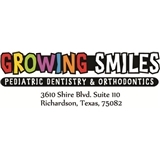 Growing Smiles (Lancaster) - Book Appointment Online! Very efficient and quick. Gets down to the point and gets the job done with minimal discomfort. Always seems to be very busy, but doesn't affect his demeanor or personality. Checks on patient during procedures to make sure they are doing fine and gives recommendations and expectations for post procedure pain and remedies. Always in and out in timely matter.